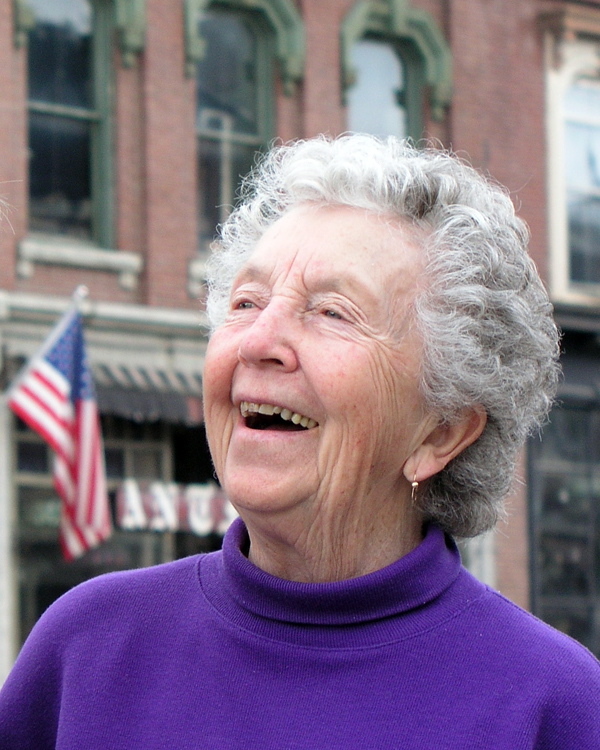 The 93-year-old, who died last week, wanted to talk and she made me want to listen. The first time I met Katy Perry, I was simply in the right place at the right time. She’d stopped in at the Kennebec Journal because she had something she wanted to get into the paper and there was no one else available for her to talk to. Reporters and editors who have been doing it for a while are familiar with the drop-in. Before email and newspapers moving out of town to industrial parks, the drop-in was a big part of the business. And I’ll be honest. The drop-in was not something people in newsrooms always looked forward to. In a job where there isn’t a lot of down time, someone would drop in, demand your attention, interrupt whatever you were doing. At the newspaper I worked at in Massachusetts in the early 1980s, we had a theory that the more frequent the visitor, the more, um, single-minded they were. Single-minded being a euphemism. Some of our drop-ins would leave, only to come back minutes later because there was a point they forgot to make. And come back again, and come back again. On the other hand, sometimes you’d get a good story, develop a good source or just get a chance to spend time with someone cool. I also enjoy talking — something that’s not as valued now in our electronics communication world as it used to be — and by their nature, most drop-ins do, too. When Katy Perry dropped in at the Kennebec Journal a couple summers ago, I was busy and was hoping I could dispatch whatever it was she needed quickly. She was no square oldster — she’d already heard the jokes about having the same name as the pop singer — and had a witty comeback. I can’t remember what it was, but I remember adjusting my first impression. I realized she was sharp and funny and had interesting things to say. When she told me she was 91, I was stunned. From there, a relationship formed. Katy never emailed, but she called, and when that didn’t work (she didn’t like leaving messages either on my work or home phone and I don’t return calls when there’s no message), she’d drop in. She never came empty-handed. She’d have clippings, books, written notes. She had a lot of ideas about things I could write about. I admit, I wasn’t always thrilled to see her. I’m not proud to say it, but it’s true. I was usually in the middle of a busy day and I knew she’d take some time. But once I started talking to her, my initial reluctance disappeared. When I heard last week that she’d died, at the age of 93, I felt surprisingly stunned. Despite her age, she was the kind of person that you just expect to keep going. I also felt guilty. I hadn’t heard from her in a while, I realized. I had a vague memory of a message left on my home voicemail months and months ago — she’d actually left a message! — that I’d intended to answer, but never got around to. She had a story idea for me and wanted me to come by her house to talk. I fully intended to, but it’s a busy world, and I put it on some vague back burner. The same day we got her obituary at the Kennebec Journal, I was looking around in my desk for something else and found a card she’d written me. The note, in a hand-addressed envelope and dated Oct. 18, 2012, had been dropped on my desk one day when she stopped by to see me and I wasn’t there. Reporters and editors find they get many more negative notes from readers than positive ones. It’s easy to dismiss the positive ones, even as good as they may feel, because there’s not a writer alive who thinks he or she is hitting the mark every time. I can’t remember if I ever responded to that note. It may not matter, since she and I talked so many times afterward. But I hope I did. Maureen Milliken is news editor of the Kennebec Journal and Morning Sentinel. Email her at [email protected]. Twitter: @mmilliken47. 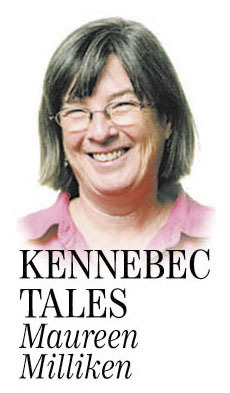 Kennebec Tales is published the first and third Thursday of the month.